When I first met my husband, I was introduced to Rhodes rolls. 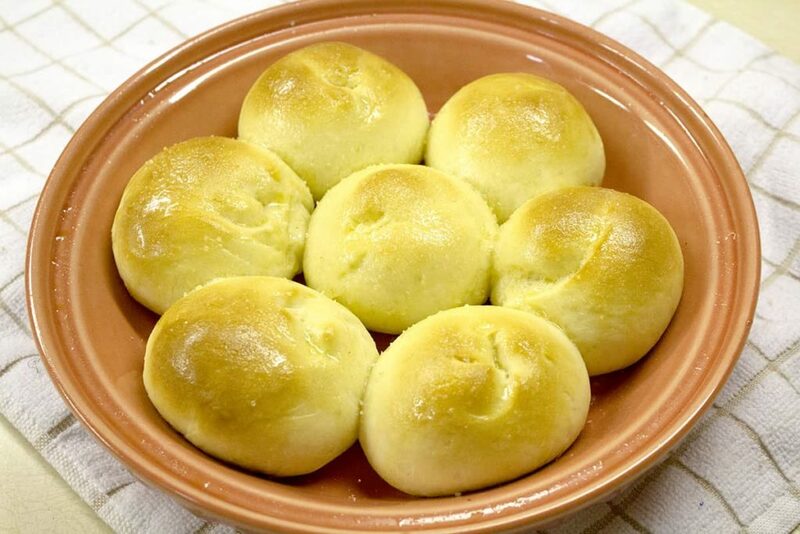 They’re light, fluffy dinner rolls that have an amazing yeast flavor. Honestly, I have to admit that the process of taking a frozen dough, letting it rise and then baking it made me feel like I was pretty much making dinner rolls from scratch! Whether anyone else considered the rolls to be made from scratch or not didn’t matter, no one ever complained when I made Rhodes rolls! That was 10 years ago, and I have started making a lot of my own food, actually from scratch, since then. I’ve been making my own pizza dough for several years now, but for some reason, I had never tackled a dinner roll recipe… until now. The process of making dough, whether it be for pizza, a loaf of yeast bread, is pretty similar, and surprisingly easy. I would argue that the most tedious part of a dinner roll recipe is the kneading part. But don’t dismiss the importance of kneading! It helps get the gluten in flour going, which in turn gives bread its texture. In a large bowl, combine active dry yeast and warm water (about 110 degrees) and stir to make sure the yeast is in the water. Allow to sit for 10 minutes, until the yeast gets creamy. Add flour, sugar and salt, and stir. Then add in milk and butter and stir until all dry ingredients are moist. Turn out dough onto a lightly floured surface, and knead for 5 minutes, until dough is smooth and elastic. Cover and let rest for 10 minutes. 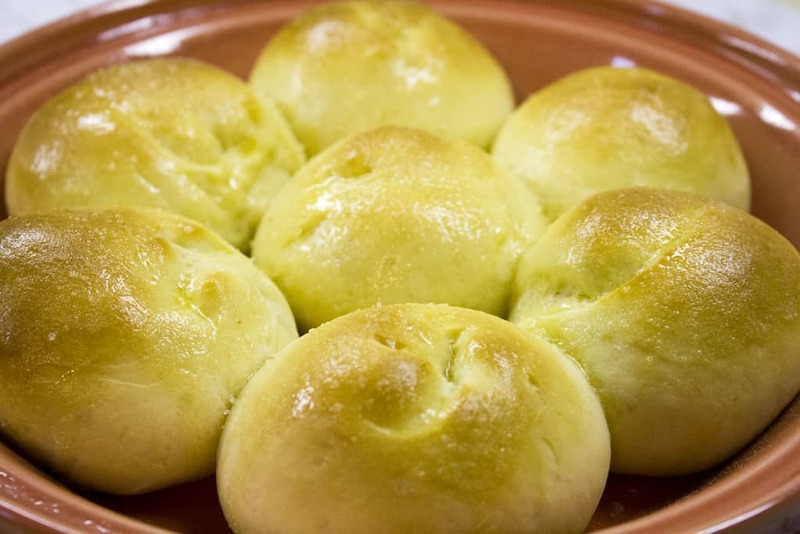 Grease an 8-inch round pan, and divide dough into 12 pieces and shape them into balls. Place dough balls into the greased pan, cover, and let rise until doubled in size. If you set them in a warm place, they’ll rise in about half an hour. At room temperature, it may take closer to 1 hour. 10 minutes before the dough is done rising, preheat oven to 375 degrees. Bake rolls in preheated oven for 20 minutes, or until brown on top. 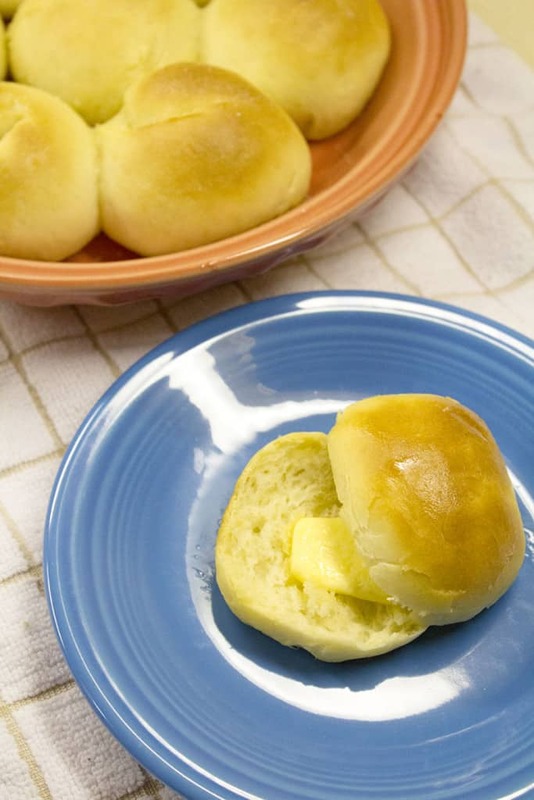 You can brush the top of the rolls with melted butter out of the oven, and sprinkle a little salt on top for extra deliciousness!